The double barrel, black powder shotgun pictured here was carried across the plains by Robert Henderson as he traveled to Lake County with a wagon train. 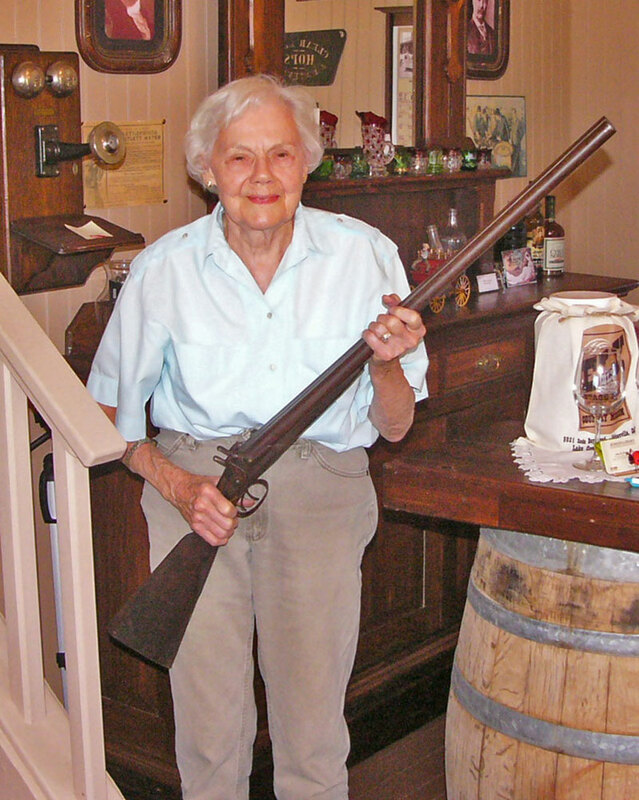 The 1850’s William Moore & Company gun was recently donated to the Ely Stage Stop Museum by Robert’s great-grand daughter, Carolyn Henderson-Rohner (also pictured). The museum is run by Lake County Historical Society volunteers who are dedicated to caring for these important pieces of Lake County history. The museum and these pieces of our past are maintained so the public can learn about Lake County’s early days. But the museum needs your help. Many items are needed by the volunteers to do their job in preserving and interpreting the past. Be a part of preserving Lake County’s past for the enjoyment of and education about Lake County’s future. Shop Tools: Acetylene/oxygen torch set (with tanks) | Work bench | Vise | Tool box | Hand tools | Step ladder – 6 ft. | Extension cord – 100 ft. 12/3 | Propane bottle – 5 gal | Tape measures – 25 ft., 50 ft.
Wood: Old wood is needed for siding on the barns that will be constructed at Ely. If someone donates a barn or out building, Ely volunteers can help take it down in exchange for the wood. If you have any of these items that need a new home please contact the museum at 707-533-9990 or send an email to elystagestop@gmail.com. Remember that donations to the Ely Stage Stop are tax deductible. Stop by the museum at 9921 Soda Bay Road (Hwy 281) in Kelseyville (near Clearlake Riviera, just north of Hwy 29-Kit’s Corner). Current hours of operation are 11:00 AM to 03:00 PM each Saturday and Sunday. 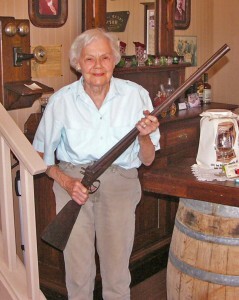 Visit our websites at elystagestop.com or lakecountyhistory.org or visit us at www.facebook.com\elystagestop.